Custom wallpapers and prints, free UK shipping. Ships in 1–2 days. Select the desired product for more information and upload an image. Pineapples, pears and dreamy lunar landscapes. Rina Donnersmarck’s children’s collection is inspired by Mother Nature. All the motifs are hand-drawn and have Rina’s characteristic imaginative style.The collection is available exclusively from Photowall and comprises eight motifs. The motifs are available as made-to-measure wall murals costing £35 per square metre. Wild animals on the African savannah, pretty little houses in a pattern technique inspired by the Nordic handicraft heritage, and charming aquatic animals from Galapagos – Mini Empire’s new wall mural collection awakens the storyteller in us. The imaginative motifs evoke thoughts of fairy-tale places where anything can happen.“I’m inspired by new places and unexpected events. My inspiration often comes from travelling, but I don’t necessarily have to travel physically; books and films also have the ability to take me to other worlds. And for me, that’s where the creativity is born. Working with this collection, I was mainly influenced by my travels to Tanzania and Borneo,” says Jenny von Döbeln.The wall mural format is nothing new to Jenny von Döbeln; she has previously made several popular murals for Photowall and her style is always characteristic, rich in detail and always has the same playful feel.“I love working with wall murals because they have the ability to change the whole feel of a room. Working with wall murals was also something of an eye-opener for me: I realised I could use my illustrations as patterns, and could build stories around my characters,” Jenny von Döbeln explains.Around the world contains three motifs – all in different colour schemes and available exclusively from Photowall for £31 per square metre. The interior photos were styled and taken by Sofia Jansson/Mokkasin.The collection has also been nominated for Children’s Furniture of the Year by Swedish lifestyle magazine Family Living. Collected seeds from a botanical garden, a paradise allotment and a forbidden banana in an apple tree are just some of the ingredients in the wall mural collection entitled Fruta Proibida. Iwa Herdensjö, the designer behind the collection, has an exciting, personal, extravagant style that stands out from the crowd. Fruta Proibida is her first wall mural collection.“The wall mural format means working with patterns that cover whole rooms, which is a nice challenge. It’s fascinating to work with elements that are so tone-setting and make up such a big part of someone’s personal environment. I’m a textile designer from the beginning, so working with paper and wallpaper has certainly been quite a departure from clothing and fabrics,” says Iwa Herdensjö.Fruta Proibida is available exclusively from Photowall and comprises five motifs, all in two different colour schemes. The murals are printed to size and cost £32 per square metre. German designer Olaf Hajek, Dutch design studio Lilesadi and Austrian illustrator Padma Bhatt are behind Photowall’s latest design initiative. The motifs from the three designers all have different expressions. Olaf Hajek has worked with acrylic on wooden board, Padma Bhatt has drawn her motifs using a range of different analogue techniques, and Lilesadi has worked digitally with different structures and geometric shapes.“We are passionate about working with different designers and are thrilled to be able to present many international collaborations. 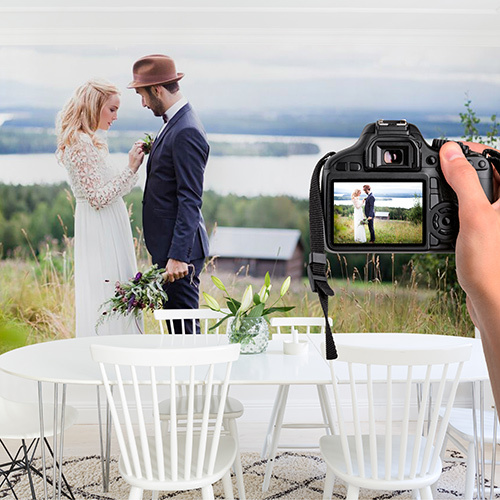 We aim to have more of this kind of collaboration in the future,” says Niklas Johansson, co-founder of Photowall.The motifs are available exclusively from Photowall as made-to-measure wall murals. Lilesadi’s motif Marble 2.0 and Padma Bhatt’s Bird dreams cost £33 per square metre, and Olaf Hajek’s Bouquet costs £35 per square metre. Photowall is adding to its design collaborations with the collection My favourite things.Five illustrators from London-based agency Peppercookies were asked to create two different designs each, an individual take on their very favourite things.“It’s always about a creative process and it’s that something you can feel, that something real, that brings out that something extra. Things that mean a lot to you, that you like, tend to do that. 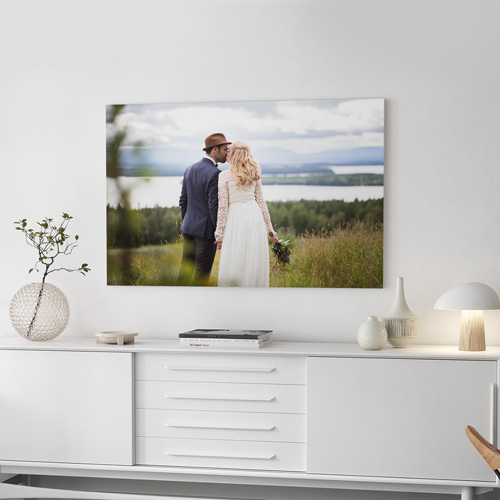 That was the point of departure for this collection,” says Niklas Johansson, co-founder of Photowall.The collection spans everything from graphical buildings resting on soft clouds, to colourful flowery meadows. The five talented illustrators behind the designs are Lisa Billvik, Mira Nameth and design duo Edholm Ullenius from Sweden, and Danes Mia Maria Overgaard and Michelle Carlslund.My favourite things is available exclusively from Photowall and includes 10 designs. All the designs can be ordered to size and cost £33 per square metre.All the photographs for the collection have been styled by Linda Åhman and shot by Jonas Gustavsson. Read more about the illustrators and their designs in our blog. Team Hawaii, the design duo based in Stockholm, are behind Photowall’s latest design collection Nature calling. The collection has a distinct focus on nature and contains five motifs, all inspired by the great outdoors.“Mother Nature was our inspiration for our collection for Photowall, both as an environment in the Snail trail motif, but also in still-life form in Friends in need and Darwin on a plate. The latter is also our personal favourite – multifaceted and suggesting mystical origins,” say Malin Grundström and Anne Gustavsson, who make up Team Hawaii.Nature calling is available exclusively from Photowall and comprises five motifs. All the motifs can be ordered to size and cost £35 per square metre. A happy cat on a fairground ride, an elephant strolling around town and a giraffe with the travel bug. The designs in the Fabel collection (Fabel is Swedish for Fable) contain plenty of ingredients for many a good bedtime story – something the collection’s creator Ingela P Arrhenius was keen to achieve. Her personal favourite is the Town design, inspired by picture books she enjoyed as a young girl.“When I was young I loved seeing city motifs in picture books, there’s always so much to discover. I envisage Town as a feature wall in a playful, colourful children’s bedroom,” says Ingela P Arrhenius.Ingela’s unique style is characterised by colourful, retro-scented patterns that are known and loved around the world. The collection for Photowall comprises eight designs – each in two different colour schemes and with a number of different stories.“The designs in my collection vary widely – a forest, a town, a fairground, to name but a few. However, they go together in terms of style. I simply wanted to work exclusively with all kinds of different motifs that I enjoy as an adult, but which are mainly intended for children’s rooms. I’ve loved working with wallpaper and thinking on a large scale,” says Ingela P Arrhenius.Fabel is available exclusively from Photowall as made-to-measure wall murals costing £32 per square metre. The interior photos were styled and taken by Sofia Jansson/Mokkasin. Swedish designer Lotta Olsson trained at HDK – the School of Design and Crafts at the University of Gothenburg, and at the University College of Arts, Crafts and Design in Stockholm. She creates eye-catching fairy-tale trees from plants she collects, presses and finally digitalises. The shapes of nature are her main source of inspiration.“I’m incredibly inspired by nature – above all the different shapes I can find and create beautiful patterns with. Over the years I’ve managed to amass a digital herbarium, and each detail in my designs has a story. Of course it’s particularly nice to be asked to create a wall mural collection – a large format does the designs justice,” says designer Lotta Olsson.The collection includes three designs: Sugarplum Tree, Mountain Pine and Apple Berry, all in two different colour schemes. They are available exclusively from Photowall as made-to-measure wall murals costing £32 per square metre. Swedish illustrator and graphic designer Albert Sjöstam kicks off Photowall’s autumn season 2013 with an exciting ethno-inspired collection in a sober black and white colour scale. Albert is a graduate of HDK – the School of Design and Crafts at the University of Gothenburg, and his fascinating, masculine hallmark permeates all the designs in the collection. Symbols, mysticism and graphic pattern images are clear influences.Albert Sjöstam’s collection is available exclusively from Photowall. It comprises six strong designs with widely varying expressions, several of them in different colour schemes. All the motifs can be ordered to size and cost £29 per square metre. Several of the motifs can also be ordered as canvas prints costing from £20.The above design, Totem, was styled by Camilla Krishnaswamy and photographed by Henrik Bonnevier. See pictures from the photo shoot on Photowall's blog, Between Walls. In the Curated by Fine Little Day collection, Photowall has asked Elisabeth Dunker, founder of Fine Little Day, to handpick motifs from her personal favourite designers around the world. This has resulted in a wonderfully eclectic collection, guided by a love of design and form.“The selected designers are firm favourites and I have frequently blogged about their work at Fine Little Day. They primarily work analogously, have a playful approach, a distinct style and a good feel for form. Otherwise there is no common thread or denominator – apart from the fact they have all been chosen for their expression,” says Elisabeth.The collection’s five designers are Mogu Takashi from Japan, Steffie Brocoli from France, Kindra Murphy from the US, and Cecilia Pettersson and Klara Bothén from Sweden. Five designers whose personal design languages together create a wide variation. The collection ranges from subtle motifs that move between children’s drawings and comics to graphic designs full of contrasts. Kindra Murphy’s Colorform design is the first to be launched.“Kindra Murphy’s Colorform design is playfully charming in wonderful colours. Her expression is sharply sophisticated and she works skilfully with scissors and style. The idea of launching one design a day is to give each one the attention it deserves. At the same time we prolong the fun – a new design to look forward to every day,” Elisabeth explains.The designs will be presented at 11:00 CET each day, and in connection with this Fine Little Day’s Elisabeth Dunker will be guest blogging on the Photowall blog. She will introduce each motif and designer in more detail. Elisabeth has also guest pinned an inspiration board on Photowall’s Pinterest. All the designs are available as made-to-measure wall murals at Photowall.co.uk and cost £32 per square metre. A firework display of colours, asymmetric jets of watercolours, cobalt-blue coloured drops and energetic splashes of colour. Photowall’s Watercolours collection comprises six varying designs in both subdued and vivid colour schemes.All the wall murals in Photowall’s Watercolours collection invite personal interpretations and fit nicely into Bohemian environments, alongside dark woods and graphic details. All the designs are available both as made-to-measure wall murals and canvas prints. The wall murals cost £26 per square metre and the canvas prints start at £18. Now this mother and daughter team has joined forces with the wallpaper distributor Photowall, with brightly coloured results. The wall murals are covered in a motley variety of small figures with plenty of personality and attitude, spreading happiness among people both young and old. The designs are expressive and decorative without being saccharine. Happiness, mischief, frustration and anger: every emotion is expressed in the world of Brokiga. Carin and Stina’s work is art in a small yet warm-hearted and friendly format.The “Brokiga” wall mural collection includes 19 different wall mural motifs, including “Brokiga Bokstäver”, “Brokigt Kalas”, “Utanför Kojan Strax Bedvid Gojan” and many other fun wallpaper designs derived from the book “En liten skär och många små brokiga” (“A little pink one and all the little multicoloured ones”). You'll find the perfect wallpaper and prints for you in our collection. We are passionate about helping you transform your home to reflect your personality. Your order is shipped in 1–2 days and shipping is always free. We want all our customers to be satisfied. Just return your order within 30 days If you are not satisfied and we'll give you a refund.